Those who have a home office can make a decoration by themselves. 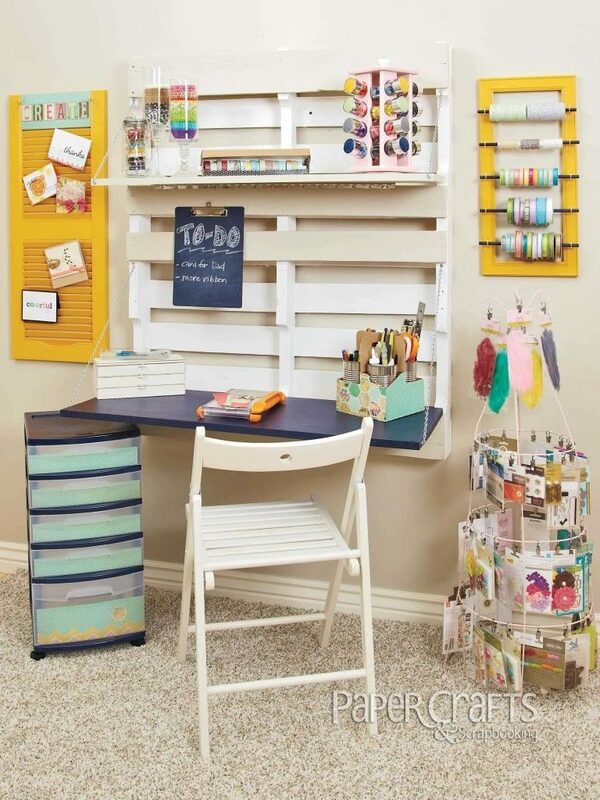 For example, they can use our ideas about pallets reuse exactly for the home office. 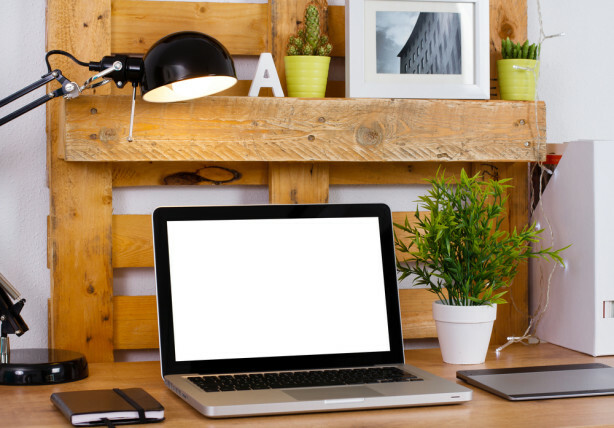 If you are also of these people who have a home office, take a look in our ideas that will help you with organization and will make your work easy. When you have well organized office you have more motivation for working. 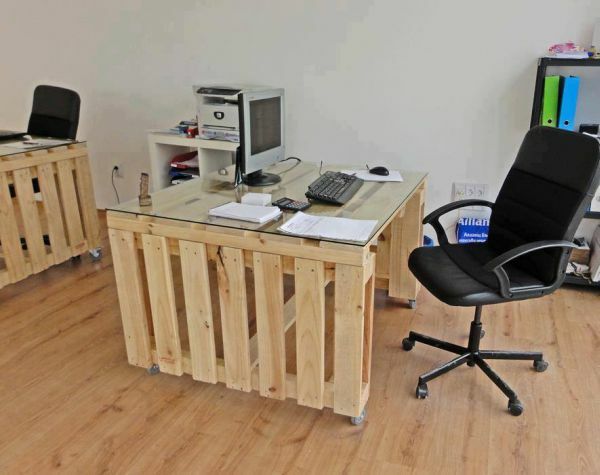 With a pallet reuse in the same way as is shown in the photo here, you can have the best office. If you wan to make full organization of the documents and notebooks you have in the office, feel free to copy this idea for your home. Make the best organization that you can ever seen in your life!!! 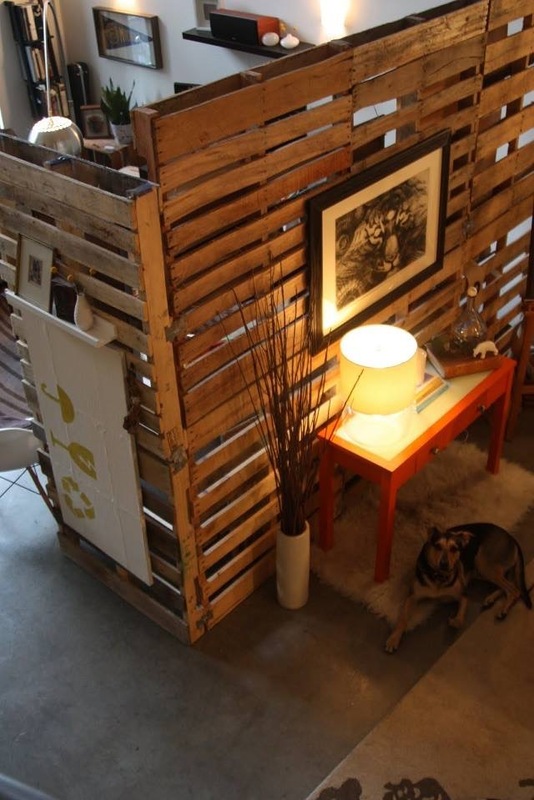 Use the pallet as a room divider and make a room only for you. 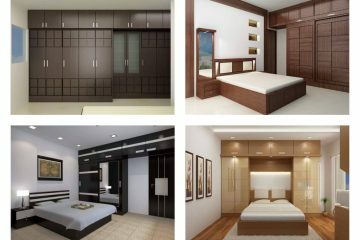 This room can your work station that you will decorate with your own creativity and imagination. 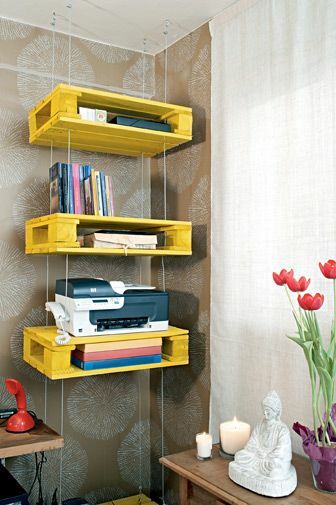 Reuse the space at home with the hanging pallets on the wall that will serve you as a working station. 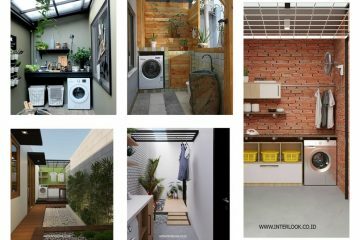 Perfect idea to give new life to the old and unused pallets and also to save space. You can do this in the entryway and to save space. Make an inviting room where you will spend half of the day in working. 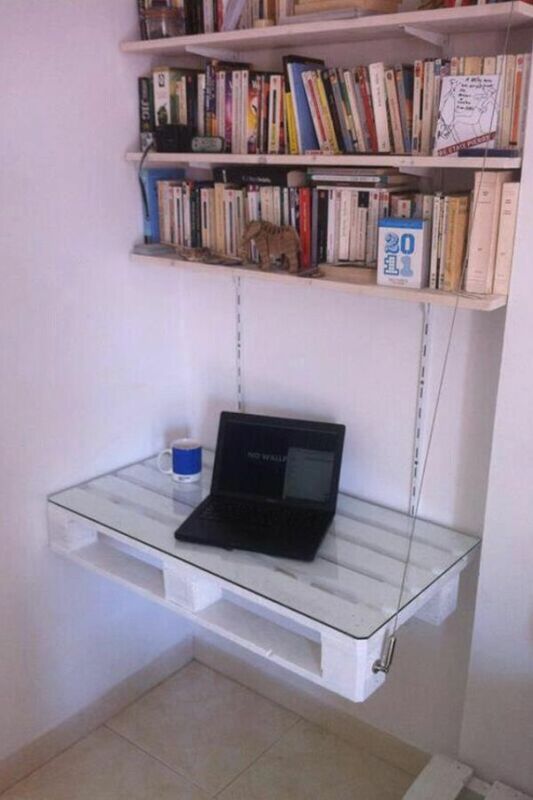 Do this by yourself and be happy with the design of your working place! How about working office pallet table? Make the elegant look of home office with this idea. Make a table made of pallets and enjoy in the style! All it stays on you is to work and to gain money right there on the chair next to the table made of pallet! Take a look in the photo now and find motivation. 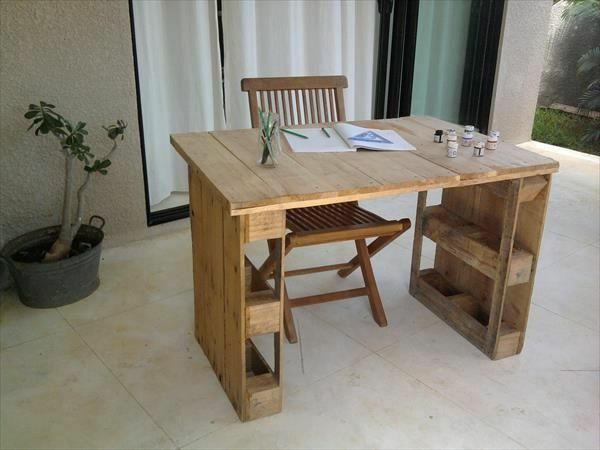 Make your own chair and desk by using the old pallets. 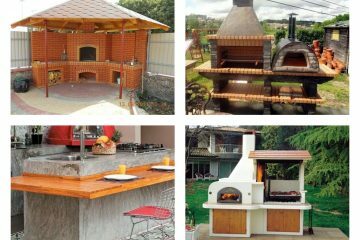 Give new life to the old pallets and make something that you need it. So, be smart, be creative and spend smart the free time you have!!! 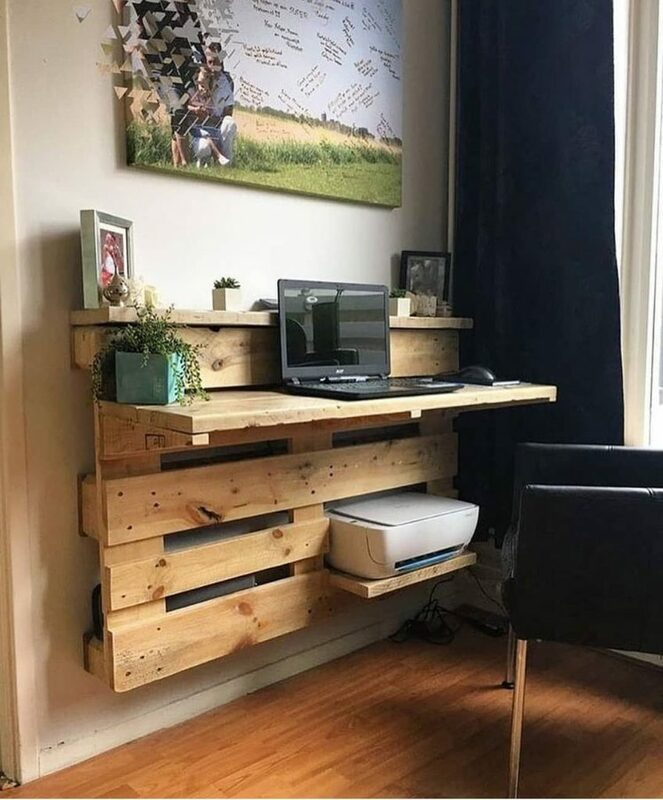 What about hanging pallet desk? This is the last idea of this post and the favourite one. What do you think, can you work on a floating desk with unique look like this in the photo here? If you want to hear my own opinion about this topic, I will choose this idea as my home work office!!! We are to the end of this post and I just want to thank you for your attention and to invite you to be our follower in future!!! Also, read about our last post that is about how to choose the most suitable wooden sink for the bathroom place!!! Thanks for your attention!